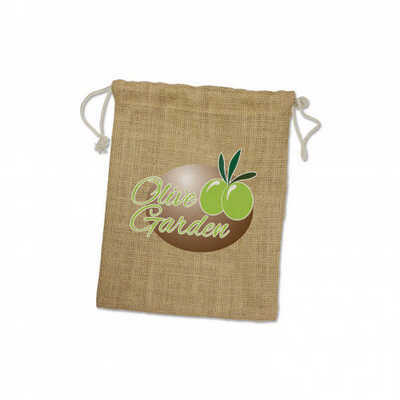 Environmentally friendly natural jute drawstring gift bag with cotton drawstrings and the choice of three sizes. Colours: Natural. Dimension: H 253mm x W 205mm. Print Description: 140mm x 150mm. Print Type: Screen Print. Packing: Loose packed. . Price includes : 1 Colour 1 Position Print Setup is included.